In both the Anglican and Catholic Mass, the Liturgy of the Word (aka reading the lessons), begins with Scripture, includes a Homily, and then concludes with the recitation of one of the Creeds. Following the Liturgy of the Word, the Prayers of the People begin. This seems fairly consistent across many of the liturgical traditions. This order also helps to de-emphasize the sermon, emphasizing instead the Eucharist as the highlight of the service. Anyways, what I've always liked about the Baptist model is that the "altar call & song" provides a space in which the congregation can meditate on the message, internalizing and applying what was said. Something about singing an old hymn that you know by heart (you don't introduce a new song in that slot!) somehow seems to provide more of a space for reflection to me than saying a creed. Now, the prayers of the people can also also afford that space (since the LEM is reading) - but there's still that Creed that sticks out like a sore thumb to me. So naturally, I wonder, why not say the Creed before we read the Word. It would seem to me that saying the Creed before the Lessons and the Homily would signal an agreement of some kind - that we believe this Truth, and are therefore ready to be instructed in the Word of the Lord. The question is, am I opening up a theological can of worms in altering the order of the mass? Is there an unintentional theological statement that would be made in changing this? Would such a thing be allowed in a Catholic service? (Episcopalians wouldn't care, so I ask about the Catholics). In short - what effect would altering this order have on the theological construct of the order of worship? To be frank, I think this has far more to do with the role of the congregation vs. the role of the ministers. Much like the liturgy of the Eucharist, the Liturgy of the Word is a sacrifice, presented by the ministers on behalf of the people to which the people respond. Moving the creed to the center basically reverses this theological role. Not only is placing intercession and creed together at the end a fulfillment of this theological act, but it is also more pragmatic: making people wait for two minutes after hearing the Gospel before they have a meditation or explanation is bad presentational flow. Oh, and there is no reason that a priest could not decide to forgo the homily and say something during the bringing up of the gifts*, but in addition to the above, the rubrics suggest that he should do otherwise. But, if a priest really wanted to, he has that authority as celebrant. *I say this based on 1. the homily is something which is optional, even on Sundays, though it is highly suggested, 2. the song after the intercessions (during the presentation of the gifts) is vaguely defined so that a priest could reinterpret it to be "give speech on what was just read", 3. a priest has the authority to make changes to the liturgy if he feels that they are pastorally appropriate. That said, placing the homily after intercessions would decidedly be "action which can fit within the letter but actively rebels against the spirit." am I opening up a theological can of worms in altering the order of the mass? 29 But they urged him, “Stay with us, for it is nearly evening and the day is almost over.” So he went in to stay with them. 30 And it happened that, while he was with them at table, he took bread, said the blessing, broke it, and gave it to them. 31 With that their eyes were opened and they recognized him, but he vanished from their sight. Their eyes are not opened during the teaching, but as soon as Jesus says "the blessing" and they take the Eucharist, they recognize Him. The recognition of Jesus is central, not the teaching. If it helps, as a Catholic, it kind of annoys me that a sermon would ever be emphasized more than the Eucharist. Annoyance aside, the Mass for Catholics goes back a long way, so changes are pretty serious. Priests have to follow the rubrics, so no, they wouldn't be allowed to change it. why not say the Creed before we read the Word ... what effect would altering this order have on the theological construct of the order of worship? The Creed is a profession of Faith and a rejection of heresy. It was put in order after the Gospel because the Faith is based on the Gospel. The Creed is a response to what has been said, like a very detailed "Amen". Agreement isn't what you need before you hear something, it comes after. We are made "ready to be instructed" in part by the other Bible readings, because the words of the prophets make us ready for the words of Jesus. In the Catholic liturgy, there's already a moment to meditate and internalize. After saying the Homily, the priest pauses and sits in silence (video). There is no singing of an old hymn (do you mean a psalm, or a contemporary song based on a psalm?). After this, Catholics, who would know these by heart, say the 1,632 year old Nicene Creed or the Apostles' Creed. Not the answer you're looking for? 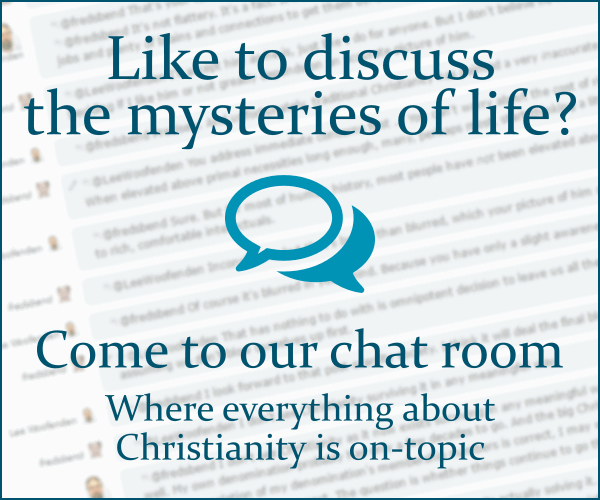 Browse other questions tagged mass creeds-and-confessions or ask your own question. Is it fair to say that Baptists have a liturgy? What elements are most commonly included in an exposition of faith? What is the meaning of creeds? What is the source of the 44 assertions made in the Creed of Athanasius? According to Catholics, was faith in the assertions made in the Creed of St. Athanasius required of those in the first 3 centuries?